I was at the park the other day with my 2 boys and I noticed this cute little house across the street. This house is not a typical Calgary style house and that is part of what draws me to it. 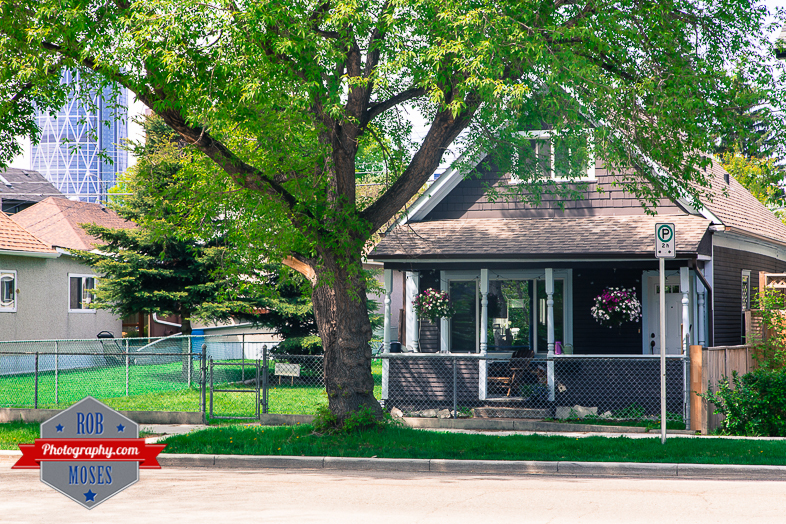 In a lot of Calgary neighbourhoods all the houses tend to look the same and I am not a fan of that at all. Thankfully in my neighbourhood of Bridgeland/Renfrew there is a rather eclectic mix of houses, just the way I like it :). This entry was posted in Cities, Random and tagged 24-105L, 24-105mm, 6D, 88mm, Alberta, architecture, bow, Bridgeland, building, Calgary, Canada, Canon, city, City Life, home, hood, house, metro, neighbourhood, old, photo, Photography, Renfrew, skyscraper, street, tower, Urban, yyc, zoom. Bookmark the permalink. Nice! I like houses like this: unostentatious, but well maintained.